Success came slowly for singer and songwriter Bruce Robison. He spent more than ten years performing in Austin’s bars on weeknights while working day gigs in restaurant kitchens, before getting his first break knocking on doors in Nashville’s music scene. Today Robison’s songwriter’s list of number one country and western hits provides him and his wife, Kelly Willis with enough royalty checks, that they may not have to worry about how to pay for their four kids’ college educations. Still, he continues to play at South Austin’s Broken Spoke, whenever he can because he finds joy in performing on its dance hall stage. He performed there Oct. 5 without the Cactus Cowboys, who were on tour in New York with his wife, Kelly. 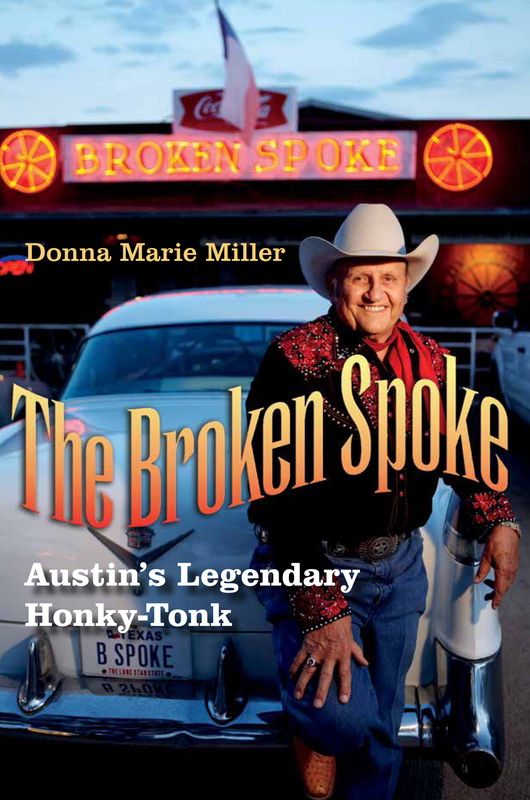 Robison feels nostalgic about the Broken Spoke, perhaps one of the last of its kind in town. The 50-year-old historic honky tonk now dwarfed by high-rise apartments and commercial real estate still offers a saw-dust covered concrete dance floor with a live country band five nights a week. 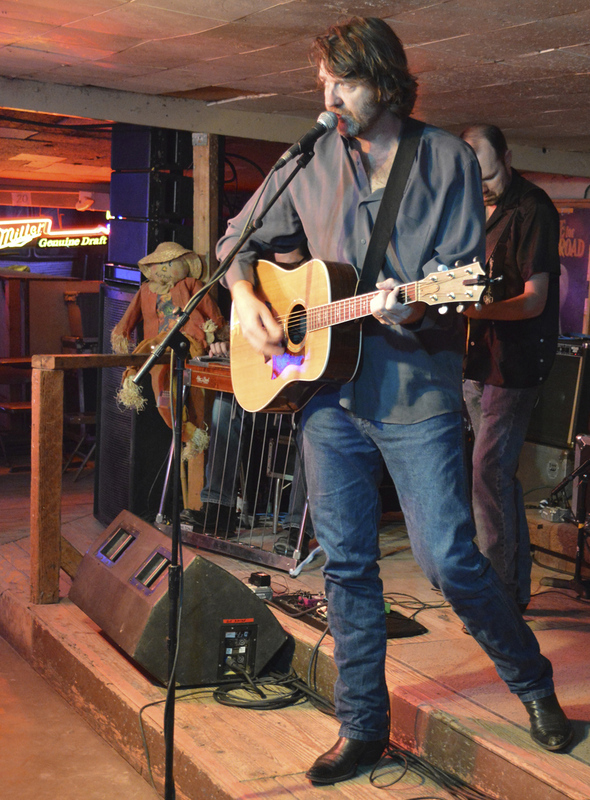 Playing at the Broken Spoke reminds Robison how far he has come since leaving his roots behind 20 years ago in Bandera. “I grew up playing in places like this – where you play dance music, so I still enjoy doing it. This is the only place I still play where they dance. It’s a very different show than any of the other shows that I perform. We play my songs, but we also play dance songs. We play a long night. This is the way that country music used to be,” Robison said. Robison’s wife, country and western singer Kelly Willis was on the road performing in New York City with their regular band, the Cactus Cowboys. Marty Muse, the steel player who plays with Robert Earl King who happened to be in town, performed with Robison Nov. 1 at the Broken Spoke. Muse has played with Robison over the years, going back 20 years. The two have been friends forever, he said. The one night only pickup band members who performed with Robison included: lead guitar player Brian Rung, bassist Will Dupuy, keyboardist Chip Dolan, and Bandera drummer Mike Brossard. Robison hails from Bandera and grew up beneath the glow of neon beer signs and listening to country and western music in dance halls. Robison said the Broken Spoke owner, 74-year-old James M. White, reminds him of people he grew up with, including his own father, Gerald Robison, who still lives in Bandera. Robison said in his younger days, even before he ever performed as a musician at the Broken Spoke, he and his friends frequented the dance hall. After high school, Robison first chose athletics as a vocation. He played basketball for West Texas State University in Canyon, from 1984 until 1986 when he dropped out to play with country band, Chaparral, whose members still perform at the Broken Spoke occasionally. Robison moved to Austin in 1989 and began playing in the clubs here, including the Broken Spoke. By name-dropping alone, his successful songwriting hits appear to overshadow his performing career. Robison has authored three number one country and western hits and countless others. His number one hit songs include: “Angry all the Time,” performed by Faith Hill and Tim McGraw; “Travelin’ Soldier,” by the Dixie Chicks; and “Wrapped,” by George Strait. Robison said his authentic and poetic voice comes from his heart and experiences, he said. “I was a big music fan and country music fan and then when I started writing songs I kind of felt like I had a talent for it. I kind of knew where the words went together,” he said. His song-writing process begins with a good idea that he just “expands upon,” he said. He said he enjoys sharing his talent with others. Robison sat down to eat his favorite thing on the Broken Spoke menu, the chicken fried steak. Three of his four children ate dinner seated beside him in the restaurant dining room, including Dodie, 12; Abigail, 10; and Joe, 7. Ben, 10, was visiting a neighborhood friend that night. He said he tries to make room in his family’s schedule to write songs every day, but he can’t always. He said he has a studio outside town where he goes every day to write and to practice his music. A couple of female friends help take care of the Robison clan of children when both their parents go on the road or play at the same time on the weekends, he said. “They’re good friends that we’ve both known a long, long time. They help us out. Like tonight and tomorrow night – we’re both playing, so they’ll watch the kids for us,” Robison said. Robison said he misses his wife when she is on the road. After 15 years of marriage supporting two individual careers, Willis and Robison finally fulfilled their long-held dream by collaborating on an album; Cheater’s Game, released last February. Together they managed to share parenting their children during the weekdays and while hopping on a plane weekends to perform out-of-town concerts. The also two perform holiday themed concerts once or twice a year together in Austin at the Paramount or Austin City Limit’s Moody Theater. Their marriage works because they focus on their family, he said. “We’ve been real lucky,” Robison said. They haven’t written songs together; they mostly just sing together. They met in Austin 20 years ago. He said his wife inspired him to write many of his songs. “Oh yeah, hell yeah,” Robison said. Some of the lyrics in his songs have a soft, feminine perspective. His creative songwriter’s voice speaks from a woman’s perspective that for his fan based listeners, sounds intuitive. His lyrics do not seem stereotypical; they feel personal, but they have universal appeal. Robison first felt the inspiration for the song “Travelin’ Soldier,” from a young girl’s perspective while working in a restaurant kitchen during the first Gulf War that began in Kuwait, during Operation Desert Shield in 1991. “I was workin’ in a kitchen. There was a young guy there who was gettin’ called up into the National Guard. He was real young and they were prepared for heavy casualties and nobody knew what it was going to be like,” Robison said. Robison said continued to work his day job a restaurant kitchen for “a good long time” after writing the song, not realizing the treasure he had created by combining his heart-felt words and music. In 1996 Robison published “Travelin’ Soldier.” A couple of artists recorded it before the Dixie Chicks did and added the song to their album, Home, in 2002; it became their sixth and final number one hit to top Billboard’s charts. Robison said since he calls himself a musician, he plays all kinds of gigs. People feel connected to country western music and the people who play it, he said. Often it seems difficult to separate himself from the culture of his music. “Within the business and the world of country music people feel real strongly about it,” he said. The extended Robison family is a musical one; his brother, Charlie Robison is also a singer and songwriter and their sister, Robyn Ludwick, is also a singer and musician. Bruce Robison first released his self-titled album in 1996 and Wrapped in 1998, both on Vireo Records; then Long Way Home from Anywhere in 1999 on Lucky Dog Records label; Country Sunshine in 2001 on Boar’s Nest Records; Eleven Stories, in 2006 on Sustain Records; Happy Holidays with Kelli Willis in 2006 on Rykodisc; It Came From San Antonio in 2007 and The New World in 2008, and His Greatest in 2009 and Cheater’s Game with Kelli Willis last February all on Premium Records.